Sue Flanders first touched clay her senior year, 1981, at the College of St. Benedict, in St. Joseph, Minn. Under the watchful eye of S. Dennis Frandrup, she learned technical throwing skills. Frandrup wouldn’t allow students to keep any pots in the first month; she would slice each “masterpiece’ to expose imperfections and ead her students to understand the goals of pot construction. Sue was hooked, but then came graduation and jobs and . . . all the joys and responsibilities of life. 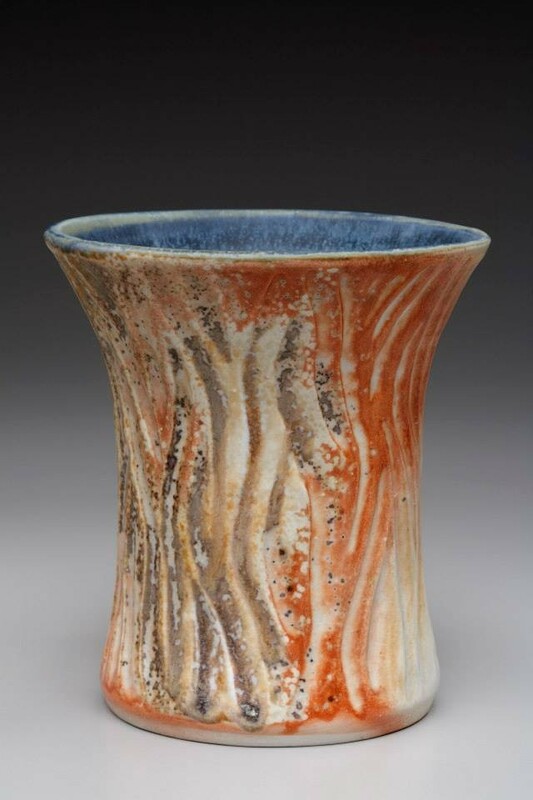 In the mid 1990s, she discovered the Edina Art Center, where she has been taking classes and firing in the cone 10 gas reduction kiln for the past 20 years. The Art Center has offered her the chance to work alongside other potters and try different firing techniques, such as Raku and Soda Firing. After trying multiple firing methods, she has realized that she likes cone 10 gas reduction the best. 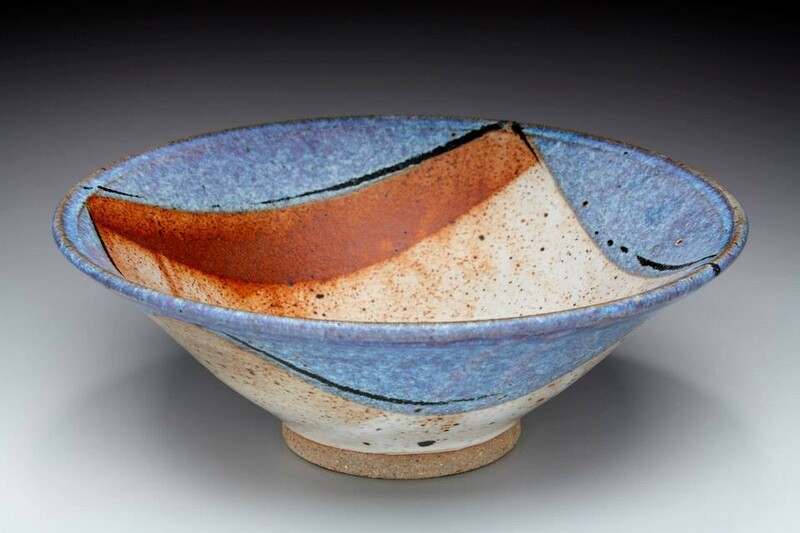 Sue says; “I just love the warm brown color of reduced clay, it reminds of chocolate!” Most recently, she had been working with white stoneware and firing her pots to cone 6 in the electric kiln, an oxidation process. Firing in an oxidation environment is much different in terms of color, the colors are much brighter. “I get great satisfaction from working every step in the ceramic process”, says Sue, a resident of Crystal, Minnesota. 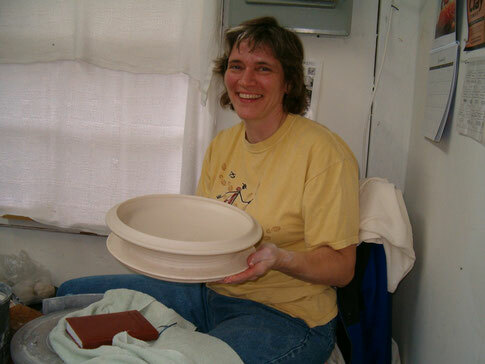 Her studio name is “Kilns of Flanders”, where she shares two electric kilns with her potter husband, Chuck. 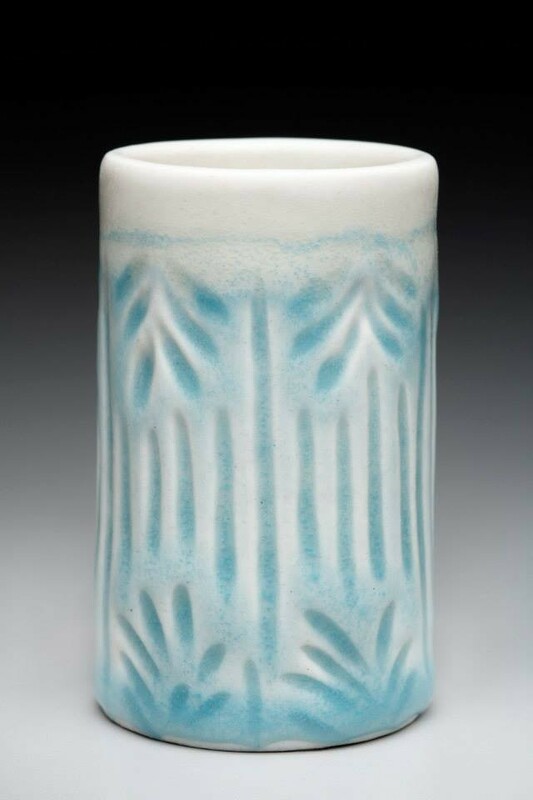 Sue’s newest line of pots includes a number of vases inspired by the Arts and Crafts style. She is still working out some of the details to determine the best combination of clay, glaze and firing method for the perfect-looking pot. The clay journey is ongoing, always a search for those best combinations, and maybe someday, the perfect pot!